POT ROAST DINNER... Hmmmmm. COME AND GET IT!!!! 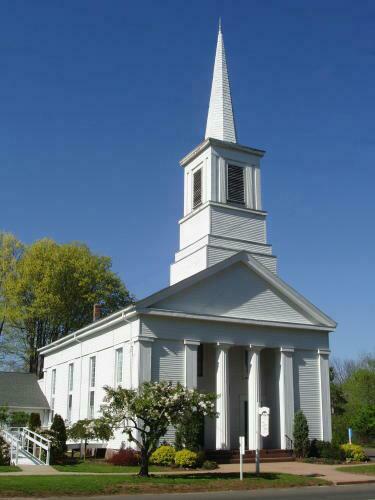 The Third Congregational Church on 94 Miner Street in Middletown, CT is holding its annual Pot Roast Dinner. This event is being held this Saturday, April 26th from 5:00pm to 7:00pm. Yes, another WONDERFUL dinner!! If you haven't come to one of these dinners.. this would be one NOT to miss. The menu will feature pot roast, mix vegetables,and oven roasted potatoes. Vanilla Ice Cream with for dessert if you have room. Coffee and Tea, or milk for the children. Price: $9.00 for adults; $4.50 for children 10 or under. Come with your family, come by yourself... come with the neighborhood. As usual, this is ALL YOU CAN EAT. Last year's pot roast dinner was the first time I went to the Third Church for one of their dinners... I've been waiting all year for this again.. the pot roast just melts in your mouth... I can taste it already. Hmmm. If you have no time for a sit down dinner at home or here at the church.. THERE IS ALWAYS TAKE OUT. Need I say more, that this is a meal that should NOT be missed. Valerie Osterhoudt is a Cromwell Connecticut Residential Realtor who can assist you with the purchase and/or sale of real estate in the Middlesex County of CT, which includes Rocky Hill, Berlin, Middletown, Wethersfield, Newington, as well as all other surrounding areas. Please visit me at www.CTrealtorMLS.com for all your relocation and/or local needs. Valerie Osterhoudt, ABR - Johnson Real Estate, Inc. - 860.635.0387 #2 - valerierealtor@sbcglobal.net. Copyright © 2009 By Valerie Osterhoudt, ABR, All Rights Reserved...*CONGRATULATIONS POT ROAST DINNER... Hmmmmm. COME AND GET IT!!!! POT ROAST DINNER… Hmmmmm. COME AND GET IT!!!! IS THERE SOMETHING WRONG WITH *THIS* STRATEGY??? ?